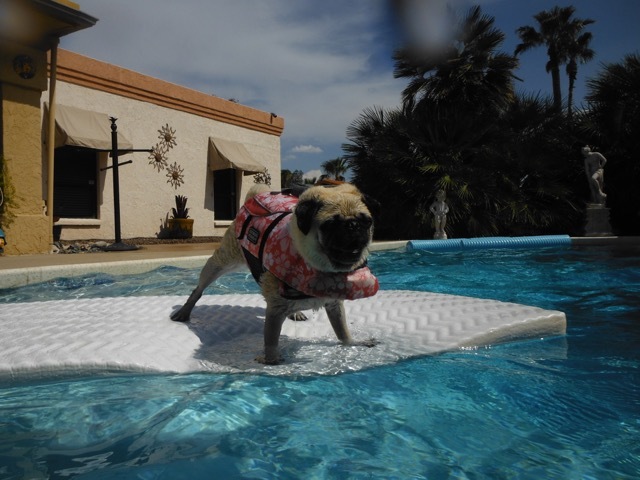 After a full day of water sports, jumping, diving, swimming, and fetching in the pool, our Pugsville Pugs are in dire need of a good brushing from the staff. Lady Isabella, in fact, refuses to go inside until she’s properly coiffeured. We see Lady Isabella laying in the shade of the portico having a little siesta. After a long day of swimming and sunning, Lord Byron needs to unwind and relax. Here is his new favorite rawhide chew. 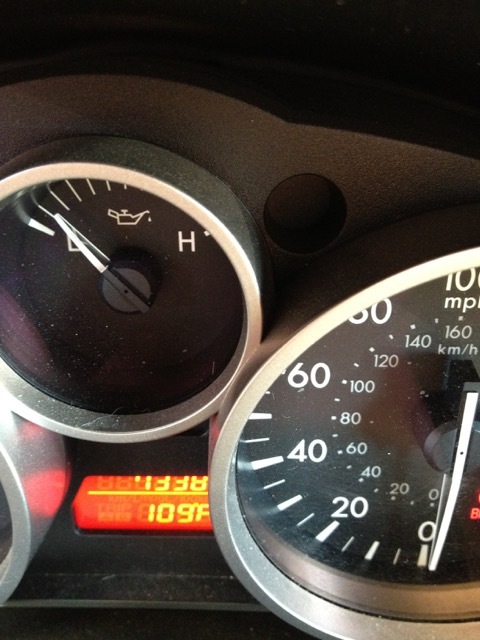 Yes, that REALLY does say 109 degrees on the car dashboard. Sitting on the pool steps, keeping cool, Lord Byron style!